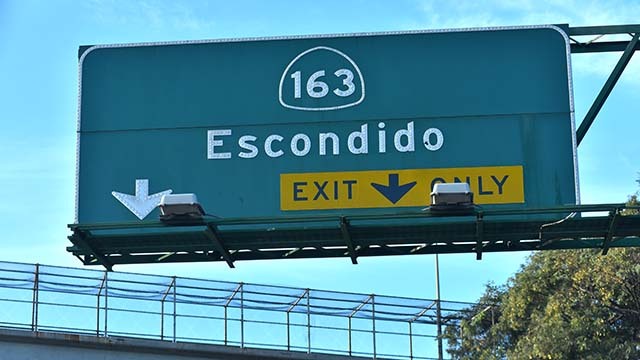 Northbound lanes of state Route 163 were blocked north of downtown San Diego due to a crash Saturday morning. A white SUV struck the center divide and sustained heavy damage to its front end. The crash was reported at 8:27 a.m., a California Highway Patrol dispatcher said. The incident was just past Washington Street, where northbound Route 163 has only two lanes. Both lanes were affected, and some drivers could be seen getting out of their stopped vehicles. Only minor injuries were reported, the dispatcher said, though it was unclear how many people were in the disabled SUV. It was the only vehicle involved in the crash. CHP officers managed to have the vehicle removed, and both lanes were open again just before 9 a.m.